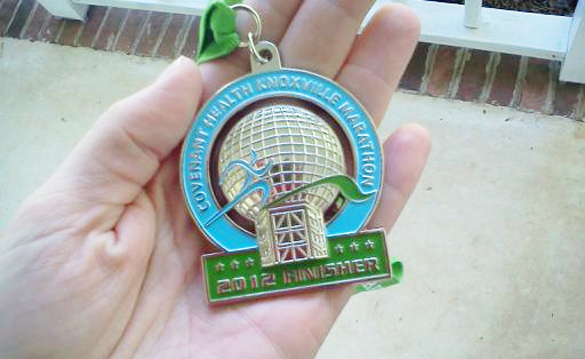 …and a personal record for a half marathon. I finished Knoxville in 2:12:32, which is five minutes faster than my previous PR, and ten minutes faster than Atlanta’s race two weeks ago. I’m thrilled! The weather was perfect, the dogwoods were gorgeous, and the finish line was the the 50-yard line inside Neyland Stadium at the University of Tennessee. Knoxville, while very, VERY hilly, is a lovely city. All around it was a wonderful morning.